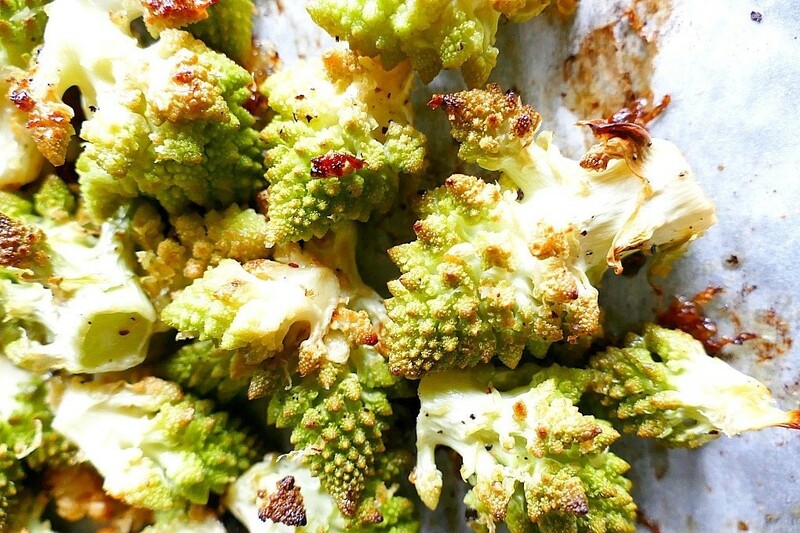 Roasted romanesco is absolutely delicious, especially when roasted with lemon and garlic. Special thanks to Lizzie Streit of It’s a Veg World After All for sharing her recipe and picture. Serves 2. Bonus: This dish is vegan, vegetarian, gluten-free and paleo friendly! For measurements and directions, visit the original author’s post on It’s a Veg World After All. 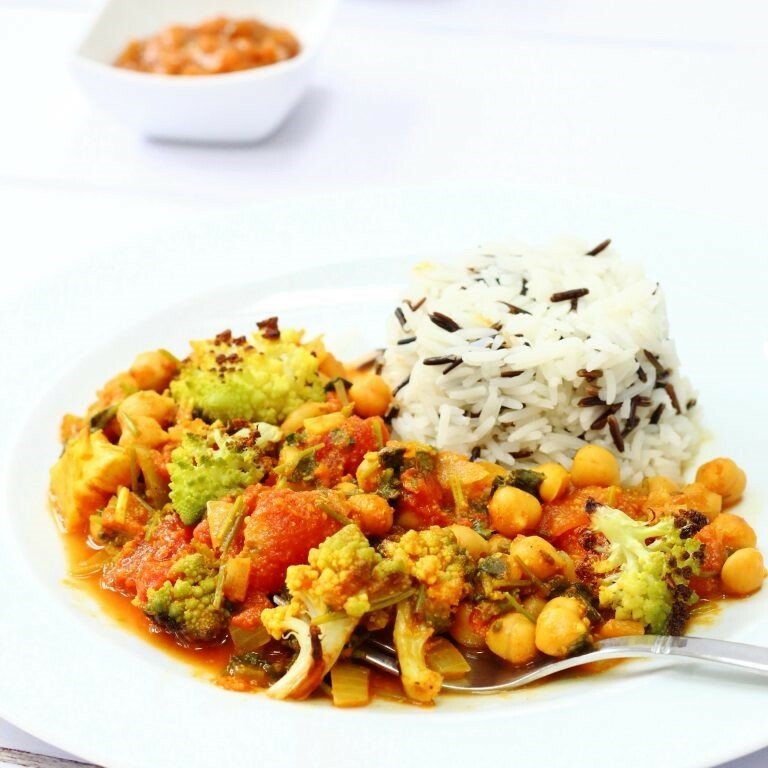 Veggies in a curry are traditionally cooked in the sauce, but roasting veggies, particularly romanesco, gives them an almost nutty taste, adding another layer of flavor to the dish. It’s absolutely delicious! For even more flavor or spice in this vegan-friendly meal, add one or two thinly sliced peppers, such as Thai green chilies, when adding garlic and ginger. Special thanks to Corina Blum of Searching for Spice for sharing her recipe and picture. Serves 4. For the complete list of ingredients, measurements and directions, visit the original author’s post on Searching for Spice.